If you skipped the Final Fantasy XV demo last month, you can go on continuing to skip it, because this morning Square Enix released a three-minute video that sums up all the cool parts just for you. Of course, watching something is never quite the same as playing it, but this video will give you a good idea of what FFXV demo players got to experience, from the high-octane combat to the mind-blowing Ramuh summon. It’s a fun watch—enough to tide us over until we see more of FFXV later this year (likely at E3). 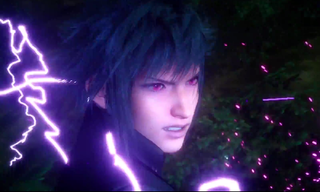 Also, anyone who makes a music video of Noctis and crew set to the Backstreet Boys’ I Want It That Way and sends it to me (or posts it in the comments here) will win my undying affection.